Please enter the details below to create an account and save your policies. Password must be a minimum of 8 characters and contain at least one uppercase letter and one number. Your password has now been reset. We can't find a user with that e-mail address. 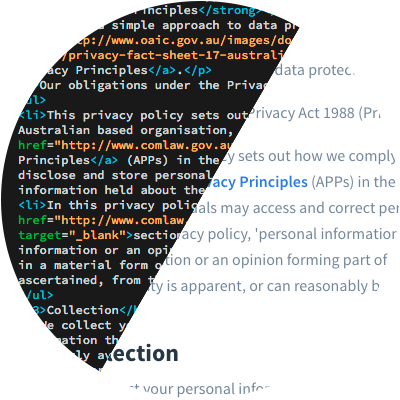 Our policies comply with The Privacy Amendment (Enhancing Privacy Protection) ACT 2012 which came into effect on 12 March 2014 and includes 13 new Australian Privacy Principles. Policies have never looked this good thanks to our user-friendly tile-based policy builder. Simply find the feature you’re looking for, hover for more details and then click to add to your policy. Privacy Policies are saved to your dashboard where you can sort by year and view a policy at any time. Plus, every policy comes in both simplified and extended, formatted and HTML versions. 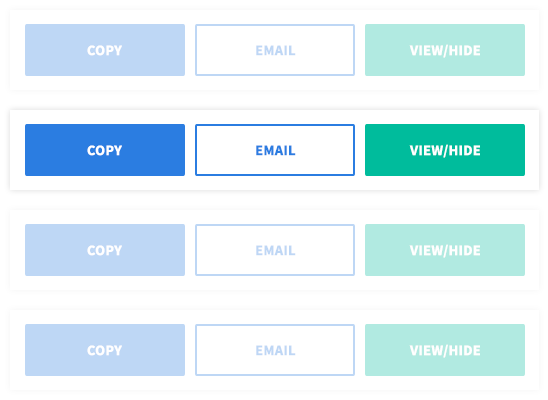 With just one click, you can copy the policy to paste on your website, email it directly to a colleague or developer, or view the policy to view in its entirety. All of our policies come in simplified and extended versions, in both formatted text and HTML. 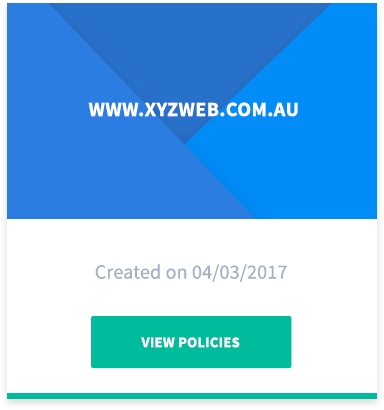 This gives you the freedom to choose how you use and style the policy on your website. Subscribe to our newsletters to stay in the loop with online privacy matters.